philippine churches | let's go pinas!! Metro Manila is supposedly enjoying the cool crisp morning weather of the earliest month of the year. Yet the swarm of men’s bodies is heating up the very environs of Quiapo, apparently the religious and cultural epicenter of Manila every 9th of January. During the Feast of the Black Nazarene, tens of thousands make their way to Quiapo Church and pay tribute to the image and what it represents for the miraculous wonders and bountiful blessings the Almighty has provided them through the years. Quiapo Church, also known as the Parish of St. John the Baptist, is home to the most revered Jesus Christ incarnation here in Metro Manila. 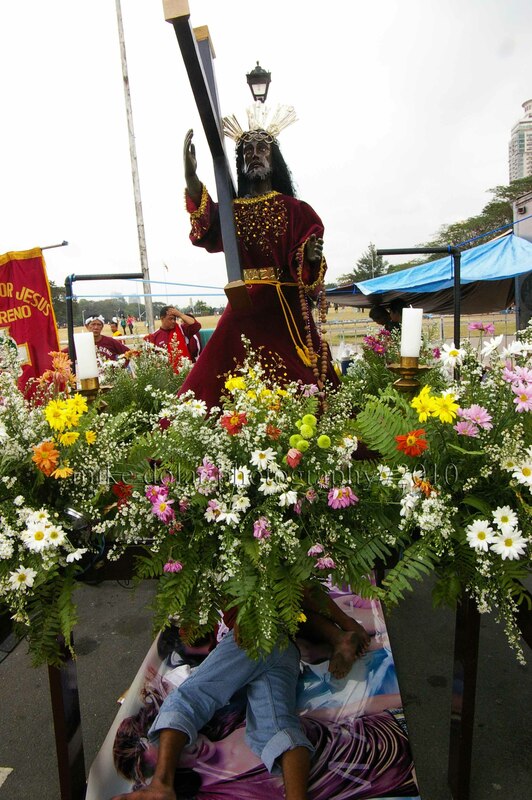 As the Philippines is a devout Catholic country, the intense and passionate adoration for the Black Nazarene, particularly during its feast is much palpable. The main roads and streets going to the church are closed to traffic by the Manila administration for the impending seeming madness of the devotees right at the thoroughfare. Ladies who garb themselves in crimson robes similar to that of the iconic image bearing the cross, wait patiently for the novena high mass, amidst the chaos. Men inch their way to the truck that brings the life size statue in a procession even through the narrow streets of Quiapo District. In the frenzied mob, each man tries hard to reach for the long and substantial rope hemp attached to the main truck, and participate as one among the many voyadores (men carrying the image). Every so often, as the truck transports the revered figure, hankies and towels are thrown to the main truck by the people, for the truck leader to pick up, wipe on the face or body of the Nazarene, and throw the cloth back to the crowd. Although the feast day of the Nazarene is in early January, it is every Friday, whole year round, when devotees come to the church and mass in honor of the Black Nazarene. And it still becomes more crowded during Fridays. Yet almost everyday there are other happenings and things related to the spiritual and even supernatural within and outside the church of Quiapo. Within the confines of the church, near the main entrance door, there are several women, usually seated in children’s plastic stools, deep in prayer many times. But many of these prayers are not for exactly for their own needs, but actually for those who have sought them for some spiritual intercession for specific intentions. One such lady is Beth de la Cruz who does padasal (praying for an intention as a paid job service). It is an occupation passed down to her by her mother and grandmother many years back. She explains that there are some people who feel that their prayers are not enough for God to bestow positive responses. Some even seek her because people literally do not know how to pray and it would be a big relief for them if she can help out in asking the Father to grant them their wishes and requests. She says that the Quiapo church administrators and priests are aware of their existence, and it is only in Quiapo Church that such group is known to exist – asking prayerful intentions in behalf of others as a job. Upon knowing one’s problems and concerns of the client, Beth writes down in a small notebook all the information needed such as the name of the person needing prayers and his circumstances lest she forgets what she will be imploring even days after. But then upon consultation, she gives a fast delivery albeit hushed, of a prayer in Tagalog. Then she opens her prayer book which focuses on the guidance of Padre Pio, the Capuchin Monk, popular for his stigmata (having the same wounds of Christ during his crucifixion) and miraculous healings. Then she prays again, intensely this time using the text from the prayerbook. At the end, she accepts some token money for the service rendered. The whole padasal event is quiet and should not even draw attention to those there, primarily for the masses. Thus it is wise to be discreet. Outside the Church premises, there is a more conspicuous set of ladies and a few gentlemen who are offering help of a different kind. These are the famous and sometimes infamous manghuhulas (fortunetellers). They do all kinds of different ways of pointing out someone’s past and present, and offer to give out pieces of advice for the future. They huddle together in their makeshift consulting spaces consisting of a table and tiny chairs for themselves and their patrons. The clients listen intently as the seers whisper to them on what fortune can befall them. 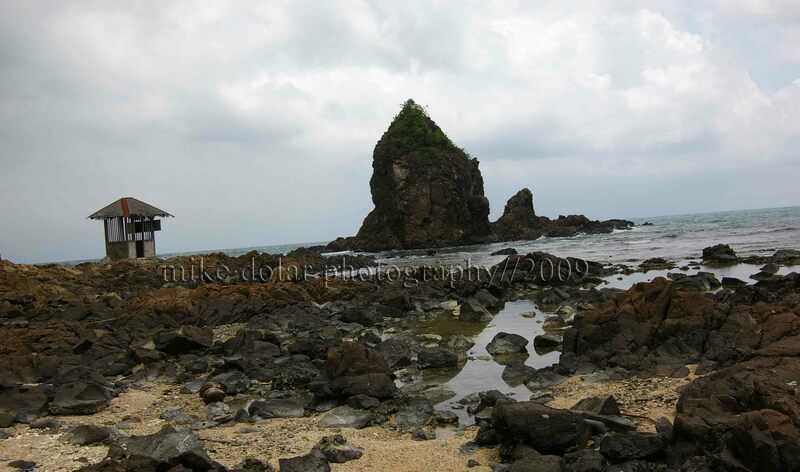 In this area, Filipinos have sought counsel from the oracles on issues encompassing all facets of life -mundane or not. Middle aged ladies troop to the place to confirm about the suspected philandering husbands. Even business people seek opinion from fortunetellers on what enterprising endeavor is most profitable for them. And of course, the out of luck and out of job would ask if they could be more fortunate outside the Philippines. Or some rich lady would just like to know who the culprit is that stashed away her set of jewelry. In such sessions, there are times that the socalled psychics are on point dishing out specific moments of past experiences, but largely the readings are too general to make a real impression. Therapeutic in a way, whether one gets to have a perceptive clairvoyant or not, let the client enjoy the ride, and take in the more positive comments to create a better person in him and probably, a better future ahead of him. Many times, such seers will ask their clients to buy whatever concoction and medicinal remedies to ease out the problems, or to bring goodluck to their homes. But actually many of these preparations are also sold by the vendors surrounding the church premises. Herbal blends and brews are sold very cheaply. Some are offered as panacea to all physical ailments, but some have supposedly specific results to uncommon conditions, even of the bizarre kind such as house poltergeists, and possibly exorcism. In such places, one can even order a personal talisman that should protect a person from accidents and aggression. Quiapo Church may be a famous landmark for first time foreign tourist, and even for nostalgic balikbayan (visiting or returning Filipinos from abroad). Probably, a novena mass on a Friday would be the highpoint of the visit. But it would be also interesting to explore the more mystifying attributes of the area, and perhaps enhance his fascination of this most valued place in the minds and the hearts of the Filipinos. 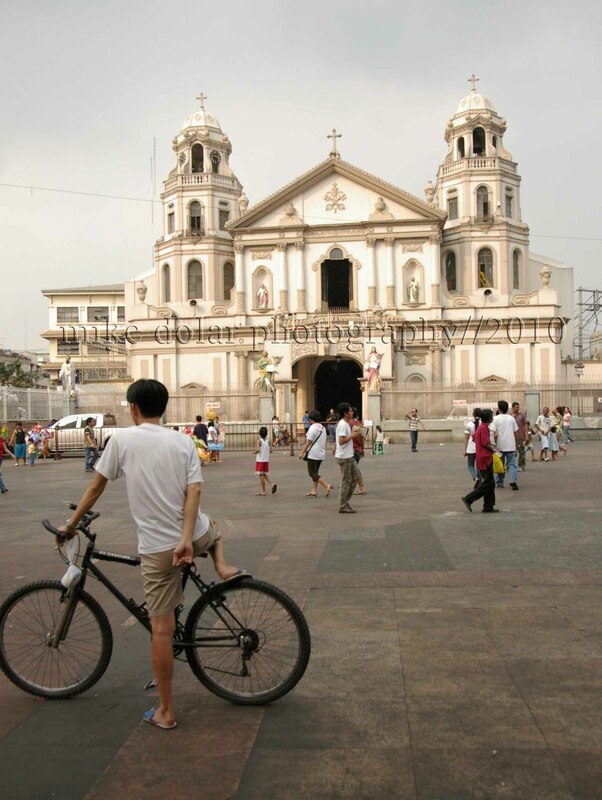 4 Things to Do in 4 Hours in Quiapo. Quiapo has been synonymous to many spiritual exercises and religious rites. But one has to remember that this is a busy place too for business and commerce. And definitely one just has to scour some areas for cheap finds and discounted items. There is just a treasure trove of items to be had in this vicinity. 1. Commission a sastre (tailor) to produce a maong (denim) pants for you. Just go to the Quiapo Underpass near Isetann Mall at Recto Avenue. There is a variety of shades and textures of denim textiles to choose from. Quite inexpensive for a whole pants starting at P400 a pair. Can be chic too. 2. Get a new digital camera. Go to photographers’ haven at Hidalgo Street, near the Quiapo Church, and canvass the newest photo equipment, usually below the mall price cost. Cameras are brand new and original, but at grey market price thus they may not have explicit warranties. 3. Haggle with the vendors for intricately weaved baskets and embroidered tablecloths. Passby Ilalim ng Tulay (Under the Bridge) where all Filipino handicrafts are proudly displayed. A favorite haunt of Balikbayan tourists for souvenir items. 4. Sample the time honored Excellente Hams, near Quinta Market. Even if it is not Christmas time or New Year’s eve, why not bring some for pasalubong (homecoming treat) from Quiapo. It was one day before the height of the activities for the fiesta of the Black Nazarene of the Quiapo Church, also known as Minor Basilica of the Black Nazarene and St. John the Baptist Church. If you want to avoid the swarming of the crowd and the heightened passion for the reverence of the statue, then you better go there before January 9. And true enough, there were less people. Last January 8, if you are around the vicinity of Quiapo Church, then you could still feel the anticipation of the devotees, milling around and inside the church, for the coming festivities. The church was full, during the almost hourly mass. Some had to contently wait outside the church premises. Security men, usually ardent followers of the Nazareno and in dark red shirts, were ready to make things orderly during the occasion. Vendors were taking advantage of the need for Nazarene shirts, pendants, fans, face towels, hankies, and other chotskies, usually in predominantly maroon which is the color of iconic statue’s robe. It is said that in 1606, the galleon ship from Mexico carrying the statue of the Nazarene burned (hence the Nazarene’s ebony color) on its way to the Philippines in 1606. The statue’s survival, and the dramatic color change provided that mystic aura to the relic. Since then, people have sworn about the supernatural occurrences such as healing miracles, and positive changes in their lives because of the Black Nazarene. Although the adoration for the Nazarene has been strong over several generations, it is in the last two decades that the media seems to have picked up the tumultuous, almost overzealous affection for the representation of the pitiable Christ, kneeling haplessly on his way to his Crucifixion. There have been several mishaps, even deaths, related to the pushing, shoving and jostling for space near the truck that carries the life-sized statue from the start of the procession at the Luneta Grandstand, to the narrow streets of Manila, and eventually to its home, Quiapo Church . Yet this obvious, almost fanatic devotion for the Christ’s image is how some Filipinos, clad in crimson shirts and barefooted, manifest willful need to show appreciation, and cleansing of past transgressions. Happy year 2010, my dear readers! It is a new year for all of us. And perhaps, we may want to start off the year and a new decade, with some introspection on how we have lived our lives for the last 10 years, since year 2000. 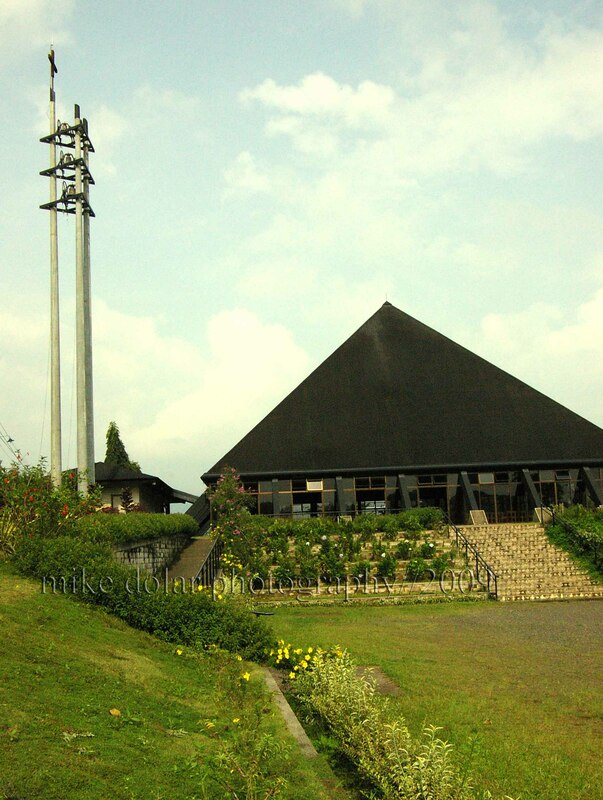 You may just want to hie off to bucolic Bukidnon, not only for some rest and relaxaton, but for some prayerful retreat as well. In Malaybalay, there is a place, run by the Benedictine Monks who can guide people to a spiritual journey. At the sprawling compound of the Monastery of the Transfiguration, you are greeted with the iconic and yet moderne church, created by National Artist, Architect Leandro Locsin. With the church’s pyramidal rooftop pointing to the skies above, you yourself are set to reach the heavens above, with some contemplation and worship. With less than a thousand pesos a day, the Monks will take you in as a guest, where you get to have some simple and yet hearty meals, including meriendas, and get to sleep alone, (or share a room, if you’re with your hubby or wife), in a spartan yet comfy room. With no television and internet to disturb your peace, there is only the beauty of the rugged natural surroundings, and church’s wondrous architecture to help you explore your mind and heart. You are highly encouraged to be still and quiet, and just meditate on guide questions provided by the retreat masters throughout the day. And you start and end the day with monastic exultations and prayers. At about 3 in the morning, the church bell peels to signal for you to get ready and partake in worship, with the monks through incantations and songs. And at the evenings, you are invited to a dimly lit church for vespers and more enthralling choir music. With the hooded monks at your beck and call for direction, the room and board ready for healing the weary soul, and the monastery’s sounds and sights for inspiration, Bukidnon’s Church of the Transfiguration is a highly recommended travel, for a brand new year, a brand new decade, and a brand new you. All these years, I thought the fountain across the Sta. Cruz Church has been there permanently. I remember that everytime I passby the area, there has been a rotunda with a fountain on it. Then I found out that the waterfountain was originally from Sampaloc Manila and it was transferred there only in the recent years. Apparently, during the 18th Century, Spanish Engineer, Don Francisco Carriedo y Peredo, as part of his charitable work, provided the seed fund of Ten Thousand Pesos, a princely sum, for the waterwork system in Manila. It used to be that rivers were the only source for water consumption whether as potable drinking water or for other sanitary use. But it was only in late 19th Century, almost a hundred years after Carriedo had initially produced the money, that water was available through a waterwork system. 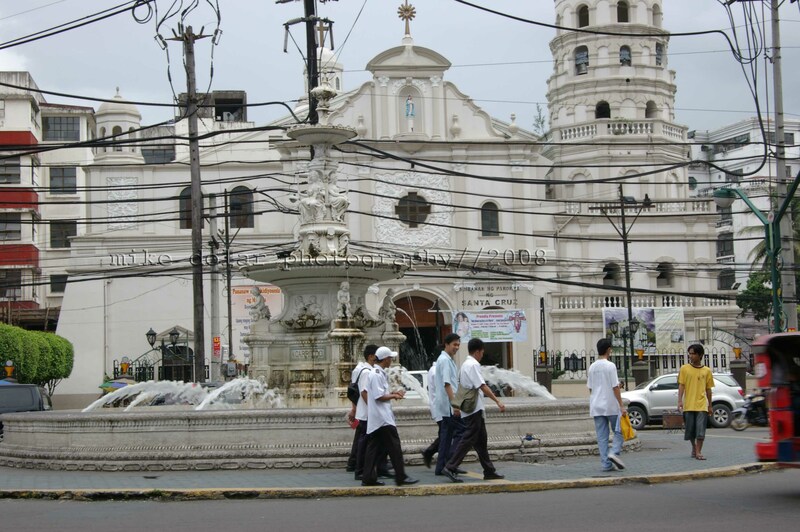 And in honor of the the Philantropist Carriedo, a water fountain was inaugurated in 1882, in Sampaloc, Manila, the distribution point of Manila’s first waterwork engineering. Then in the 20th Century, the Carriedo Fountain was transferred to the Main Office of Metropolitan Waterworks and Sewerage System (MWSS) in Balara, Quezon City. It is said that MWSS has the oldest waterworks system in Asia, thanks to Don Carriedo. It was only during the first mayoral term of Alfredo Lim that the fountain got transferred to its present location in Sta. Cruz, Manila. But of course, MWSS wanted to have a memory of the signficant fountain by creating a replica of it thus National artist Napoleon Abueva was tasked to create another. And to be truthful, every time I pass by the area of MWSS compound, I have been coveting to feature the gracefully and classically carved fountain, except that the idea of its security interrogating me on why I would like to even take pictures of its fountain, prevents me to even consider going there. But now realizing the history of the water system, the need to go there maybe is not as much. There is Sta Cruz, Manila afterall. 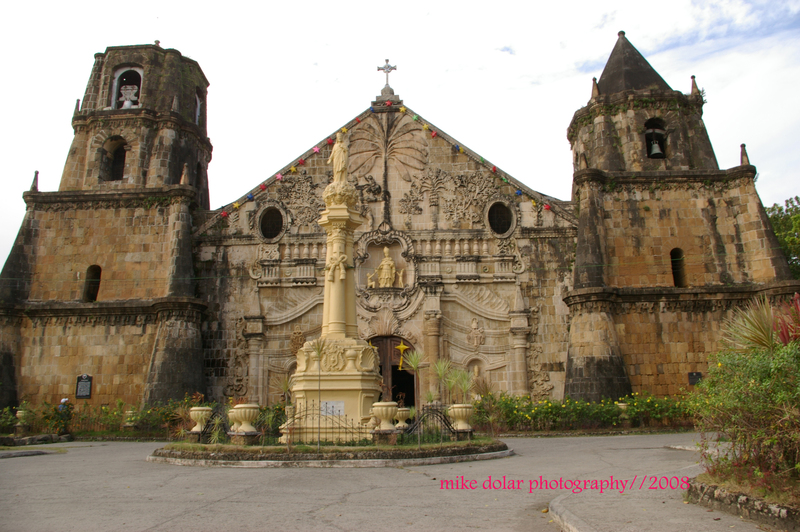 Thus after an early morning flight, we were off to one of the most precious spots of Iloilo, the church of Sto. Tomas de Villanueva of Miag-ao. At first glance, the whole church seemed to be covered in chalk dust – yellow chalk dust. Apparently, thick slabs of yellow sandstone have been used to create the church which acted also as a fortress from year 1797. Somehow the architecture looks unique, particularly when other Philippine churches try to reach the skies; this time, the Miag-ao Church squats on its own hugeness. But still the whole edifice albeit short is imposing and regal. With the two bell towers, flanking the main part on each side, the image turns into something else. It is as if the church could be used as someone’s throne. Now, maybe my comment is too much of a hyperbole. Or maybe i am just a little stoned.